Charlton...Pauline R. (Payant) Ludwig, passed peacefully at home in Charlton on Wednesday, November 14. Her husband of 41 years, Doctor James L. Ludwig, died in 2010. She leaves a son Christopher of San Francisco, CA, his daughters, Vivian Y. and Eleanor H. and their mother Liesl; and a daughter, Miriam and her husband Charles Ormsby of Oviedo, FL and their daughters, Josette L. and Lila E.
Pauline also leaves a brother, Walter R. Payant, Jr. and his wife Lena L. Payant of Charlton, MA and several beloved nieces and nephews. She is predeceased by her sister Cecile (Payant) Riel and her husband Arthur Riel. Pauline was born in Worcester on January 30, 1940, daughter of Walter Sr., and Irene (Mandeville) Payant. She graduated from Notre Dame High School in Southbridge and joined the Order of Medical Missionaries of Mary in Boston. She later studied at Quinsigamond College and graduated as a Registered Nurse, and earned her Master's Degree in Social Work from Boston College. She worked for several years at Hubbard Hospital in Webster, and later worked as a social worker at Catholic Charities of the Diocese of Worcester. 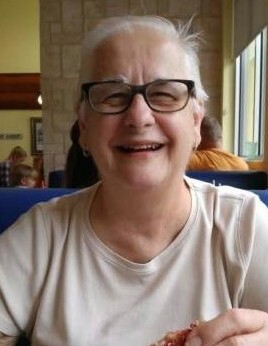 Pauline was a devoted member of the Sacred Heart Church in Webster and served as a Pastoral Associate, attending to the homebound and elderly. She was a leader in the local chapter of Tau Maria, a lay Franciscan group, and accompanied members on trips to San Marco, Nicaragua to assist the poor. She was a committed adorer in the Chapel of Perpetual Eucharistic Adoration in the Emmaus Center in Webster. Pauline was also a member of St. Rita Society, a charitable organization at St. John Paul II Parish in Southbridge. Pauline's funeral Mass will be celebrated Tuesday, November 27th at 10AM at Sacred Heart Church, 18 E. Main Street, Webster. Calling hours will be held on Monday, November 26th from 5-7PM at Sansoucy Funeral Home, 40 Marcy Street, Southbridge, MA 01550. Memorial gifts may be made to Sacred Heart Parish, 18 E. Main Street, Webster, MA 01570.